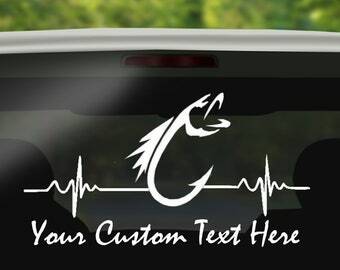 We offer you the ability to customize your own decal! Sometimes you just can't find the perfect decal you desire for your wall, window, appliances and more. 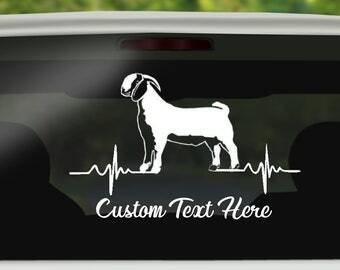 We make it easy for you to create your own special decal. 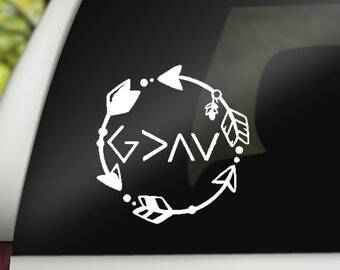 For quantity of 10 or more please ask us for a custom listing to save you on shipping! Our vinyl is cut vinyl, what this means is each letter/designed silhouette is individually cut out by our industrial cutter. Yes, we can use most fonts on dafont.com. ***Please not some fonts do have limitations, for example if the letters are not solid in colors, (contains fading, flecking, speckling etc) we cannot cut that. MUST BE SOLID FILLED lettering. ***Please also note thin lettering can be difficult if your size choice is too small. If you have questions on a font before ordering, send us a convo. No need to worry! We send you instructions of how to apply vinyl. If you are unsure after your vinyl arrives, send us a convo and we are happy to help. If applied to your travel mug, coffee cup, water bottle etc, please wash carefully by hand no scrubbing the decal. Can I order Rush Processing? Yes absolutely! Please note-processing time in the link below. If there is a size you need that we do not offer in this listing please send us a convo for a quote! We are happy to assist you in your vinyl needs. 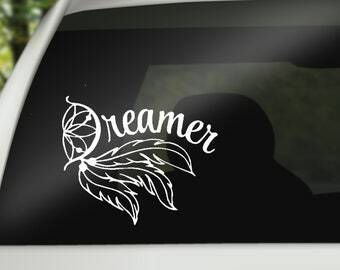 Order one of our vinyls and we will work with to bring your idea to reality. 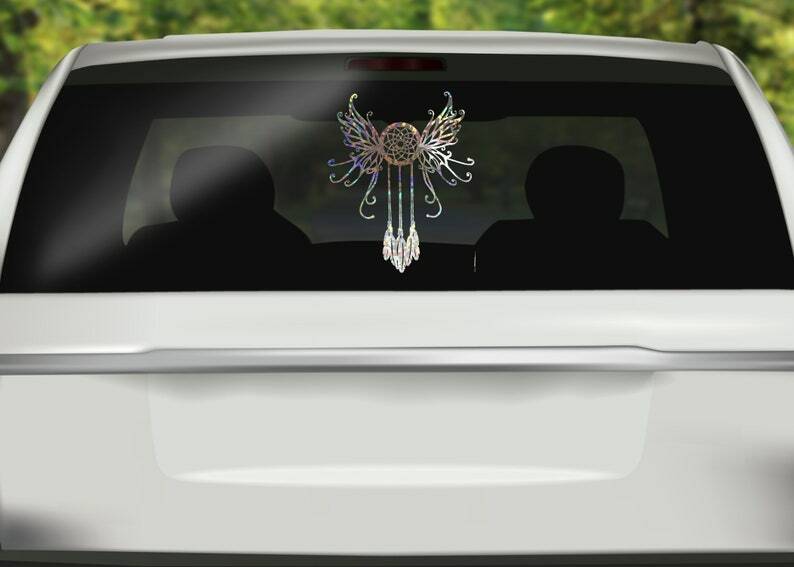 Order in your desired size and get that perfect custom decal just for you. 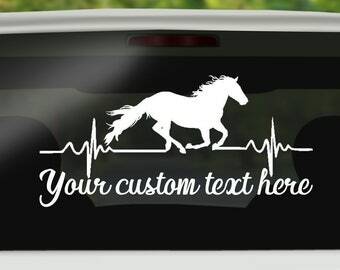 Our decals come in many different sizes - Just choose a size from the drop down menu, choose a color from the drop down menu, tell us your quote in the 'note to seller' at check out or email your vector file files we can easily cut are .ai, .eps, .dxl files. But don't worry, send us a picture and we can draw in your artwork too!,Don't forget to pick a font from www.dafont.com (send this in your message) We do the rest of the work for you! 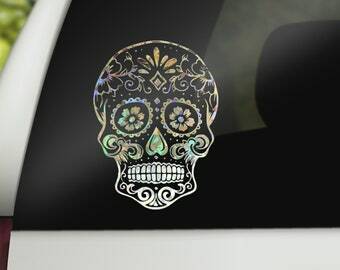 Our decals can be used as custom window decals, custom car decals, laptop stickers, wall decals, yeti decals, water bottle decals, canister decals, mailbox decals and everywhere! They can be placed on any smooth and clean surface. SEE DETAILED PURCHASE INSTRUCTIONS BELOW! 7. 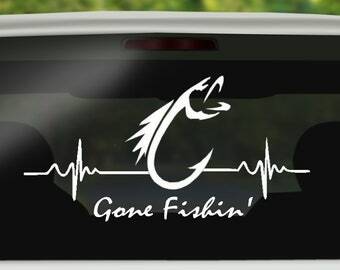 Once you approve, we will cut and ship your decal. Instructions to install your decal. 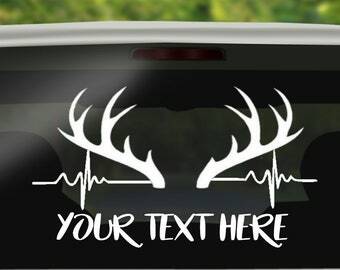 We recommend measuring the space the decal will go in. Choose a size that will make the decorative impact you want - small for a small impact, large for a large impact. We can work with just about any size, so choose the size you think is closest to what you want and we will work with exact specifications during the design process. No. 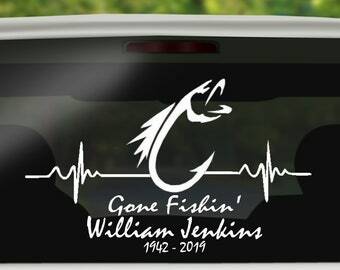 We will not infringe on anyone's copyrights, including other decal seller's designs. 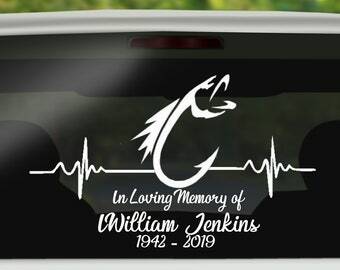 Designs created by other people are subject to copyrights, and if we or anyone else will make a decal from them, that is simply our policy. Not only that, we just don't like to copy other people's hard work. We are happy to design something similar in creative design for you. 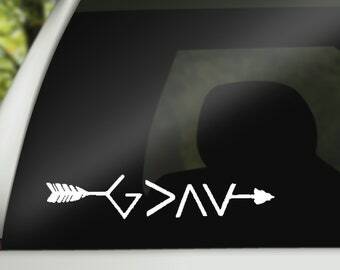 We are a family based business, in Oklahoma, so you are directly supporting our family when you purchase from us. 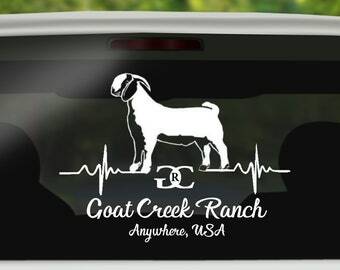 We design all our decals, and have made decals for something as small as Salt & Pepper shakers to Commercial Logo artwork. 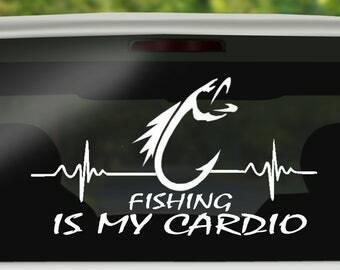 We work really hard to make sure you're happy with your decal. We allow up to 3 revisions. Most of our customers are happy with the very first design, and but just in case, we work closely with your to make it perfect. If we can't seem to meet your creative desire within the 3 revisions we will happily refund your purchase to you. All vinyl is high quality gloss vinyl. It is very easy to apply and remove. 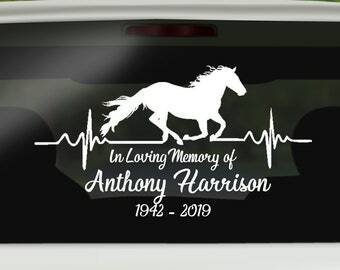 For all car, window, or outside sign decals we do guarantee our vinyl for 7 years. Awesome and shiny! Thank you!